Order bespoke beams cut to your requirements. Choose options and type your specifications in below for instant pricing. Order securely online or save as a quote. Due to the lack of stability of sections below 100 x 100mm, we suggest you look at our Kiln Dried, Light Character European Oak. 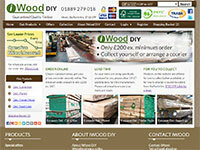 iWood is happy to supply 100% English Oak. There is a growing move back towards timbers that are grown in Britain over foreign counterparts and some projects outright specify it. Should you have any questions about our English Oak do not hesitate to get in touch on 01889 279 018. English Oak is the most common hardwood tree in the UK and throughout history has been an important raw material for English construction. 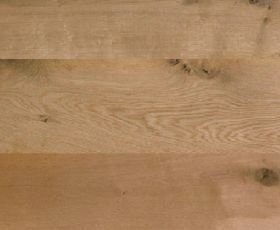 iWood’s English Oak Beams are fresh sawn and sourced from various locations around the UK and are suitable for construction. Our British Oak Beams are available between thicknesses of 26 and 300mm, widths of 50 to 300mm and lengths of up to 7.9 metres. Please note it is standard industry practise to supply beams slightly overlength to be cut down on site. For any enquiries on our English Oak please call 01889 279018. For lengths of 5 metres or greater, Fresh Sawn Constructional grade beams are only available at sizes larger than 80mm x 200mm.